These are exciting times for people who produce, deliver, and consume media for educational use. The educational video market has solidified and matured in recent years: Students and teachers know what video capabilities they expect to have at their disposal, and vendors abound, competing to fulfill those demands. We’re starting to see strong convergence in feature sets offered by the major video content management venders targeting the educational sector. Many of the older and more feature-rich platforms, notably Kaltura and Ensemble Video, are expanding into the lecture capture space by partnering with hardware encoder manufacturers to provide an option for the automated recording of classrooms with installed equipment in addition to their traditional strengths as upload-and-share video management systems. For an example from the other direction, Sonic Foundry’s Mediasite, a traditional lecture capture powerhouse, now provides improved LMS integrations and publish points for upload-and-share type use cases. Every platform, whether it uses Flash or Silverlight in some cases, is expected to provide streaming video to mobile devices. In the educational sector, that’s not merely to be fashionable—mobile streaming video service is a requirement to bridge the digital divide between socio-economic haves and have-nots. According to a 2015 study by Common Sense Media, only a quarter of lower-income teenagers own their own laptops, versus 51 percent who own their own smartphones. The same study found that 71 percent of lower-income teenagers have access to a tablet device in their homes. If you want your curricular video to reach these students who desperately need all the access to instructional content available, you’ll lose half of them with an inadequate mobile strategy. Most of the video management products marketed to the educational sector now offer their own video recording software as well. The end result of this extension and consolidation of feature sets is that video content management systems appear to be heading in the direction of closed ecosystems: The more useful features your chosen vender provides, the more comfortable your teachers and students will become with them, the more time your students will spend using those learning tools instead of others, and the more locked-in with the vender you will become. This is the way of things with maturing product markets. This is not remotely the end of the story, though. At EDUCAUSE in 2015, an influential white paper titled, “The Next Generation Digital Learning Environment” (NGDLE), presented recommendations for the next generation of educational technology. According to the original paper, “[T]he NGDLE will be an ecosystem of sorts ... [and] it will be a confederation of IT systems.” The paper continues, “Instead of uniformity and centrality, it will need to support personalization ... it will be a cloud-like space to aggregate and connect content and functionality.” The goal is to replace the monolithic learning management system (LMS) as the primary technological resource available to students and teachers. Instead, the desire is for the LMS to break up into its functional pieces that can be assembled along with other independent pieces to meet the specific instructional needs of various courses. Instead of third-party venders writing plug-ins for an LMS to add a missing functionality that different courses running in the LMS can choose to use or ignore, there is no LMS—courses are built by composing a learning environment constructed of only the functions it needs, many of which would have been provided by an LMS in the old model. Furthermore, that customization is intended to be even more granular: The NGDLE calls for the possibility of a learning environment tailored not just to the course, but to each individual’s capabilities or preferences when taking the course. Advocates for the NGDLE movement are attempting to provide back pressure against the trend toward closed ecosystems and vender lock-in and, ideally, they’re looking for a more nimble, responsive suite of tools that educators can use to engage students. The NGDLE’s admonition against the more generic danger in software product evolution where feature creep, if left unchecked, tends to overcomplicate a product to the point where it can’t keep up with changing demands is beyond a counter-revolutionary call to arms against mainstream trends in the education technology industry. There is a call to reimagine educational technology from a service-oriented architecture (SOA) perspective. SOA is a proven and popular framework for building complex information technology systems. A core idea of SOA is to avoid building monolithic systems by keeping the components modular, loosely coupled, and strictly unaware of each other’s internal workings. Service-oriented systems are designed so that components can be swapped out, repurposed, or added to without disrupting the health of the overall system. For example, a video management platform is a complex system at a smaller scale than an LMS, serving functions that could be implemented as subsystems fully opaque to one another as black boxes with contractually predefined input-output languages. The transcode engine in the platform could be firewalled off from the other internals, accepting API calls to do some work, and reporting events back to a system bus or to anything listening on a publish-subscribe socket. Internally to that subsystem, all that matters is for the exposed input-output to remain stable: Different algorithms can be swapped in and out; resources can be scaled down, up, or even be cloud-sourced; and there is a high assurance that things won’t break because of some undocumented or obscure dependency between subsystems. SOA is meant to allow complex systems to evolve over time, adapting more easily to changing needs than a system built without a plan to avoid difficult-to-disentangle internal dependencies. Those of us with specialized expertise in video services marketed toward the education sector may wonder that any of this NGDLE business is considered to be radical. Video platforms offered to the education sector have always been completely distinct from learning management systems, offering features unavailable within the core LMS and that within the context of a self-hosted LMS would have been illogical to provide as an internal LMS feature. In other words, it is one thing to provision the CPU, storage, and bandwidth for a core LMS. It is another thing to provision the same resources for a media server, transcoding cluster, and any other video features you want to support. Over the past few years, the resource needs of the two would not have grown at anywhere near the same rate, so deploying them as a single, monolithic product would have resulted in serious maintenance challenges. Since video platforms and other products historically are better aligned with the goals of the NGDLE paradigm than many other types of product, it’s helpfully illustrative to consider what technological changes the market might have to adopt before video products could contribute in an actual, production NGDLE. Systematic isolation from the other components of the learning environment is a necessary condition for NGDLE, but is insufficient: The video service would also need to integrate with the other components so seamlessly that it would appear as a unified whole. A non-exhaustive but representative set of features that will be necessary for a successful video service in an education market where the NGDLE is the dominant paradigm includes identity management, grade reporting, activity reporting, versioning, data ingest/export, and personalization. The video service must know who is requesting a video stream or attempting a connection to the service for any other reason. It needs to know whether the individuals connecting have permission to do what they want to do. For this to work, the video service needs to use the same single-sign-on scheme as the rest of the components the NGDLE are adopting and have access to fairly sensitive information about course rosters and the like. It must, since this future video service should surely meet 2002 TEACH Act standards, providing access to certain video materials only to students registered in the course that they were assigned. This could be less invasively achieved using the Learning Tools Interoperability (LTI) standard, an OAuth-based scheme allowing learning management systems to vouch for an individual’s identity, the course he’s connecting to the remote service from, and whether he teaches the course or is a student. LTI, though, is based around the model where the LMS is the mothership on which the LTI applications defer for identity. In the NGDLE, there is no LMS, so there must be some other component trustworthy enough to vouch for identity and informed enough to know what information can be passed on to which components. A video service might have in-video questions that could provide a gradebook entry for the course, or it could be that just watching a video is a graded activity. The video service needs to have enough access to the course gradebook to set these grades. This capability also exists currently using the LTI standard, which optionally provides an OAuth-secured API end point for setting the grade for that student, for that activity, for that course. Video: What Emerging Technologies Will Drive the Future of Education Video? Video technology experts from Drexel University, the University of Pennsylvania, and the University of Southern California discuss emerging trends in education video. 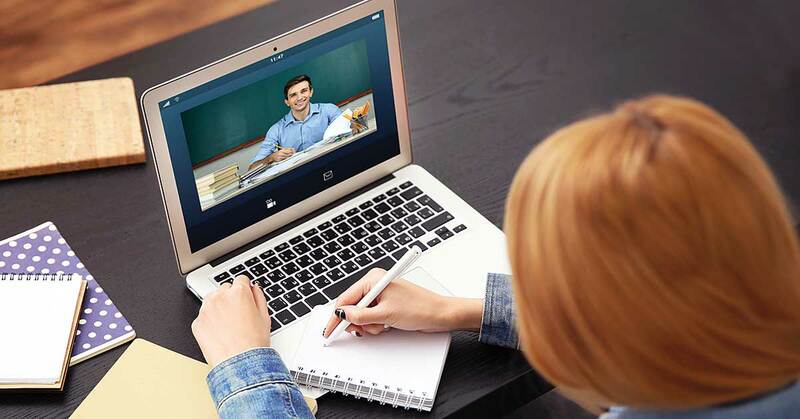 From flipped classrooms to MOOCs, video is at the very center of education in 2015. But are colleges and students getting their money's worth? The proliferation of mobile devices and the surge in popularity of the flipped classroom mean that video is at the head of the class in today's schools. Online video is flipping the classroom: students view instructor videos at home, then do homework in class for maximum teacher-student interaction. With universities like MIT and Stanford using online video to expand their reach, and with technology and platform vendors investing serious dollars into the educational market, 2012 is shaping up to be a very exciting year for video in schools. Video is no longer novel on college campuses. While video's not quite as ubiquitous as textbooks, it's getting there.